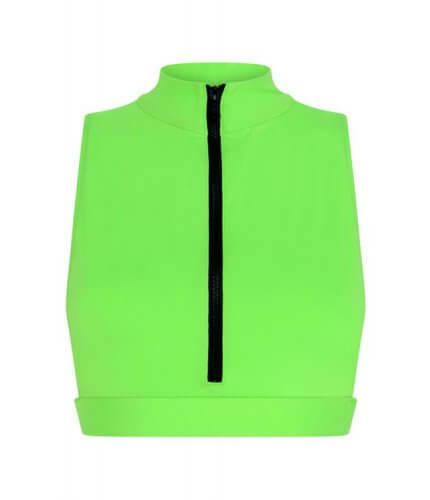 The jewelled emerald tones of this green bikini top are bang on trend for this season. Featuring an elegant catwalk-inspired silver-plated necklace, cut-out middle and built-in cups, this bikini will help you feel fabulous while also providing the support you need. Elegant yet eye-catching, this emerald green bikini is a holiday essential that is not to be missed. Whether you're looking for a bikini for dancing at beach parties in Bali, something for a spa getaway or for lounging on your favourite beach, you'll find the perfect piece of swimwear for you at Noire Swimwear. 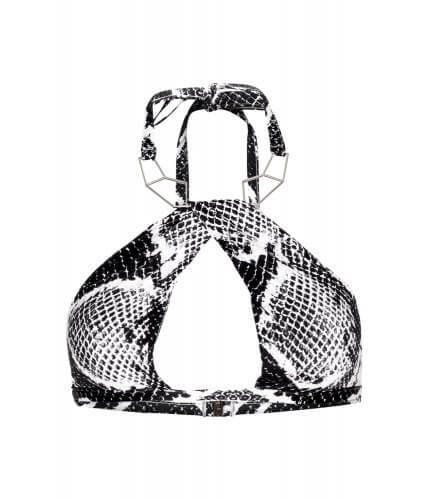 Mix and match this cut-out bikini top with our range of bikini bottoms. For the perfect pairing, opt for the matching emerald green bikini bottom or, if you want to mix up your bikini style, choose a high-waisted or lace-up number. 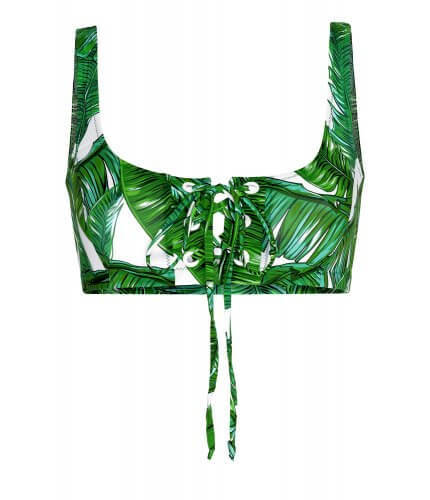 Made from fine Italian fabric, our emerald green bikini top, with its silver necklace detailing, is a classic style that can be brought out again and again for holidays, short breaks or even wellness getaways. Style with a pair of wedge sandals, a glam pair of sunglasses and denim shorts for a cool casual look. However, you wish to style your holiday look, make sure you shop for your swimwear at Noire today.